CNAs are on the front-lines of patient care in hospitals, clinics and other health care settings. Students in this class learn introductory anatomy and physiology, as well as elements of nutrition and feeding; admitting, transferring and dismissing residents. Care of the critically ill and dying; changing bed linens; lifting and positioning patients are also part of this course, using a combination of classroom learning, hands-on practice and 25 hours of clinical experience. 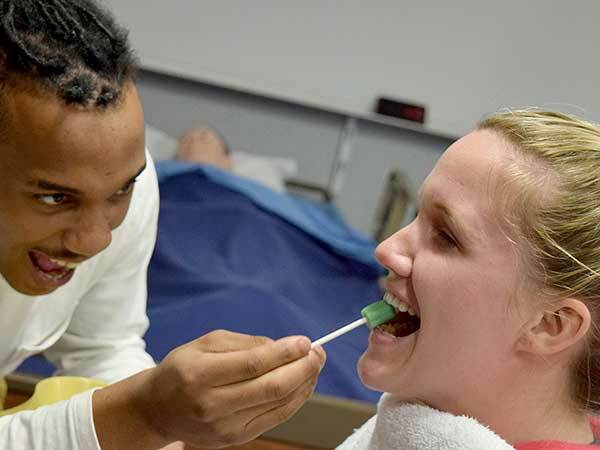 This course meets all requirements to become a CNA in the state of Kansas. Prerequisites: Reading Placement Test, TB Questionnaire and follow up if indicated. Clear copy of driver’s license. Clear copy of SS card. Reading Placement Test can be scheduled by calling 785-309-3136, or online here. Angelia Phillips earned her Bachelor of Science in Education degree from the University of Central Oklahoma.